On the night of May 29, 1934, a United Air Lines 12-passenger, dual-motored airplane left Cleveland, Ohio, bound for Albany, N.Y. and Newark, N.J. After arriving safely at Albany, the flight continued on to Newark with nine passengers and a crew of three. It was now after midnight on the morning of May 30th. 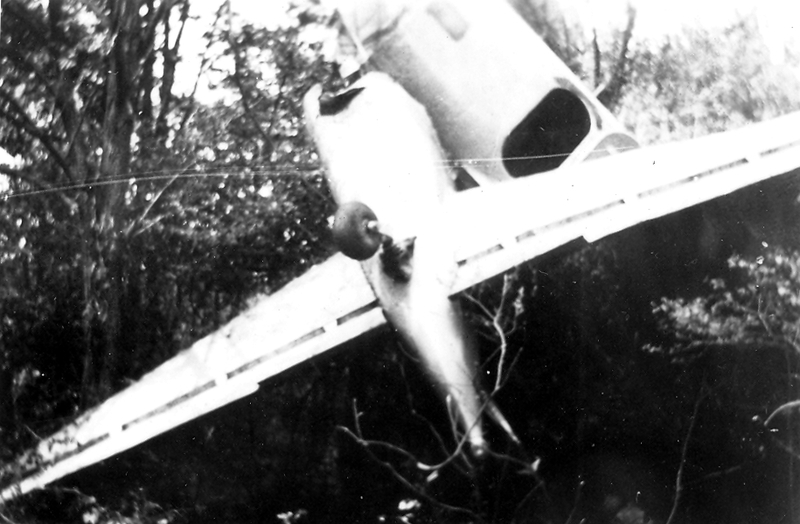 While in-route to Newark the flight encountered heavy cloud and ground-fog conditions and the pilot decided that landing at Newark would be unsafe if not impossible so he turned towards Connecticut hoping to land at Tucker Field in Danbury. When the flight reached the Danbury area, the pilot attempted to radio the tower, but was unable to raise anyone. The landing field was not illuminated, and the region was covered with scattered fog, so the pilot was forced to circle the area. The cockpit was equipped with a hand-held search light which the crew used to attempt to gain the attention of anyone who might be on duty at the air field. Yet despite the sound of the plane’s engines, and the light signals from the cockpit, nobody at the field seemed to notice. It was later reported that residents of Bethel heard the plane circling, and that someone called the airport to report the situation so that the runway lights could be turned on. However, it was believed that the pilot may not have seen the lights of the airport as he was making his approach due to the foggy weather and hilly terrain. As the pilot was making his approach, the aircraft crashed into a wooded area in Bethel, about three miles from the airport. 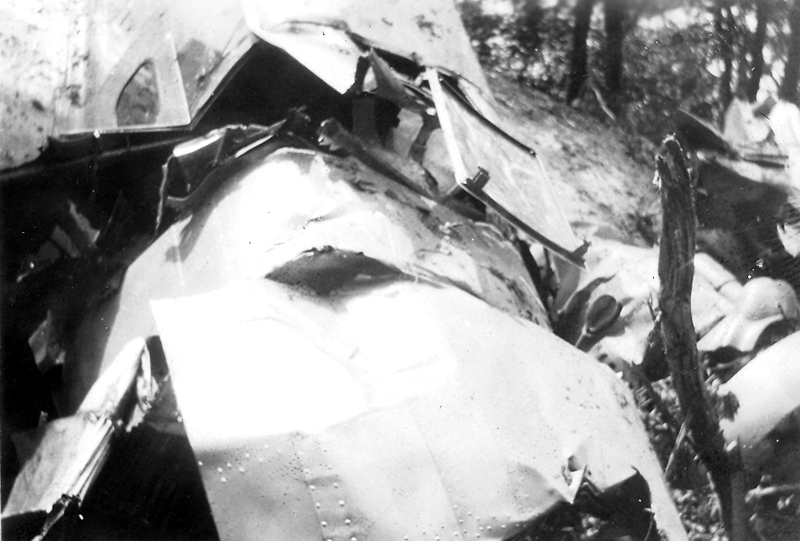 The cabin area of the aircraft remained intact. 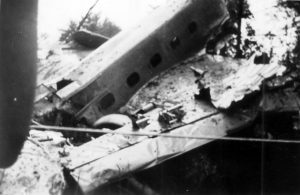 Although the aircraft broke apart, there was no fire, and the passenger cabin remained largely intact. This accounted for the lack of fatalities. However, the pilot and co-pilot , as well as seven of the passengers, were transported to the hospital with various injuries, some of them serious. Despite the crash, the pilot was praised by the passengers for his skill in handling the aircraft under such adverse conditions. As word of the accident spread, hundreds flocked to the area to view the crash site, but were kept at bay by state and local police. Photos courtesy of Larry Webster, Aviation Historian, Charlestown, R.I.